There are thirty-two ways to write a story, and I’ve used every one, but there is only one plot—things are not as they seem. 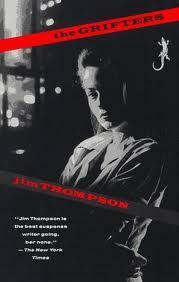 Jim Thompson is regarded in literary circles as a master of noir fiction. His books are published by Random House and many of them are available in hardback editions. It didn’t used to be that way. The Grifters was first published in 1963 and I first read it in 1963. I got it off a rack in a dime store. The book was not what we call today a “trade paperback,” which is a larger format than the standard pocket-size pulp paperback, generally a book that is judged to have some literary merit; no, this was a pulp paperback, which at that time probably sold for 75 cents. I believe all of Thompson’s novels initially came out as pulp fiction. Read ’em and throw ’em away.